New data from a recent study involving 1,088 adult men over the age of 40 without a history of prostate cancer demonstrated that increases in body weight, waist circumference, and metabolic syndrome showed increases in prostate growth rate or benign prostatic hyperplasia (BPH) over the course of 5 years. The goal of the study was to determine whether longitudinal changes in weight, waist circumference and metabolic syndrome were associated with changes in prostate growth. Men selected for the study had a mean age of 54 years and attended the Health Screening and Promotion Center at Asian Medical Center at least twice a year for routine health checkups between January 2006 and December 2013. The health screenings included anthropometric measurements of height, weight, and waist circumference, along with blood tests, electrocardiography, a detailed clinical examination and a transrectal ultrasonography (TRUS) performed by experienced urologists. 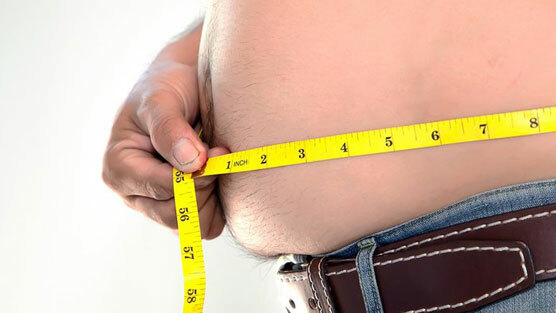 The findings from this study revealed that increases in both weight and of developing metabolic syndrome during the 5 years did increase prostate growth rate. Increases in body weight were significantly associated with increases of prostate growth when compared to nonobese men. Men who were recently diagnosed with metabolic syndrome also showed greater prostate growth compared to men who did not have metabolic syndrome. This indicates there is a correlation between weight changes, metabolic syndrome, and prostate growth rate in a healthy population. Two components that define metabolic syndrome are having an elevated fasting glucose along with obesity. The study pointed out that both obesity and metabolic syndrome are related to inflammation and oxidative stress with inflammation having been implicated as a main stimulus for prostate cancer. BPH is a benign growth of the prostate that is promoted by inflammation, oxidative stress, and higher fasting blood glucose. Patients newly diagnosed with benign prostatic hyperplasia or prostate cancer can contract world renowned prostate cancer surgeon and urologic oncologist, Dr. David Samadi on 212-365-5000 for a free phone consultation or by visiting ProstateCancer911.com.